British banks have allegedly been party to corrupt transactions worth millions of dollars linked to FIFA, according to legal papers from the US Department of Justice (DoJ). Barclays and HSBC were named in the papers after the US DoJ noted millions of dollars linked to the corrupt football organization had been moved through their accounts. The Serious Fraud Office said they wereexamining information relating to possible corruption at FIFA on Friday morning. A spokesperson said the office was "actively assessing material in its possession and ready to assist international criminal investigations"
Speaking to the House of Commons on Thursday following an urgent question on the FIFA scandal, Secretary of State for Culture, Media and Sport John Whittingdale said he would support any investigation the SFO made. “I have no doubt they will be looking closely to see if any laws have been broken in this country,” he said. 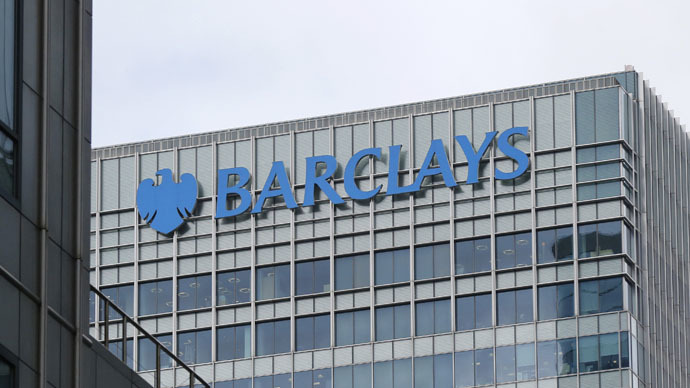 Suspect transactions include the transfer of £320,000 to the account of a luxury yacht manufacturer in London, and the payment of £130,000 from a branch of Barclays in New York to an account in the offshore tax haven the Cayman Islands. The transactions under investigation are linked to FIFA itself, its officials and their connected companies. As the official FIFA audit company, international auditors KPMG is also implicated at the heart of the scandal, with hard questions asked about why the accountants gave FIFA a clean bill of health despite allegations of corruption. “As FIFA’s statutory auditor, we are bound by professional confidentiality and have to refrain from any comment,” a spokesperson said of the allegations. The potential investigation into British banks comes after seven high ranking FIFA officials were arrested in Zurich on Wednesday ahead of the presidential election, as part of two separate investigations mounted by US and Swiss authorities. The 14 charged are believed to include “businessmen, bankers and other trusted intermediaries who laundered illicit payments,” according to US Attorney General Loretta Lynch. Many of the transactions relate to sports marketing company Traffic, which is owned by one of the accused Aaron Davidson, the US DoJ documents reveal. The scandal is also expected to involve a number of US banks. Analyst Pepe Escobar told RT that at the center of the scandal are members of the Confederation of North, Central American and Caribbean Association Football (CONCACAF) making corrupt transactions in American banks. Members of FIFA will cast their votes on Friday afternoon to decide the organization’s new president. Current President Sepp Blatter will attempt to secure a fifth term, but is facing calls from numerous governments to stand down. His only opposition is the current vice-President Prince Ali bin al-Hussein. Escobar said he believed Blatter would retain the position, saying he was an “extremely wily character” who had won huge support in Africa and Asia, and was also likely to be supported by the South Americans. The vote is slated to take place at 16:00 BST.